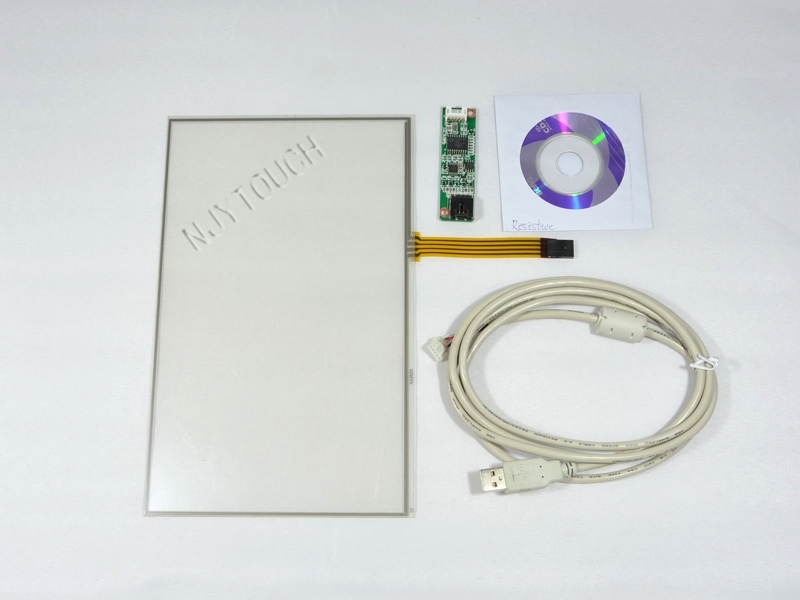 10.2 Inch 4 Wire Resistive Touch Screen Panel Kit With USB Interface widescreen，New! Typical Application: Public access, gaming machines, POS (Point of Sale), kiosks, ATM, industrial controls. Operation Supports : Windows 98 / ME / XP / 2000, Linux, Vista,Win 7. 6.4"/7"/8.4"/10.4"/12.1"/13.3"/17.0"/17.1"/18.1"//20.1"/ 21.3"/22" Touch Screens are also available, please refer to our other similar items and enjoy your bidding! Note: If you can't find the exact inch that you need, please contact us. We can help you solve this problem. We can provide you specific inches according to your requirement. From the above pictures, what can you find out? Right, obviously the left ones look not as good as the right ones. The left ones are those we called "low quality" with imperfect linearity, which we never sell to our customers, but some other sellers do. The right ones (with perfect linearity) are what we are selling now. We know clearly that customer's satisfactions can make us develop. We hereby promise to sell good ones to our customers. Please be assured and enjoy your bidding! Packing material:carton, pearl wool, wood.